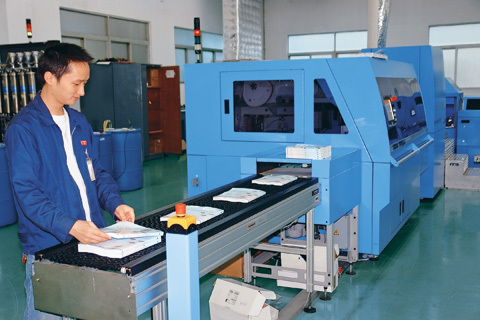 ​The Operator is responsible for the quality of the products produced and the functioning of the machine; and will perform quality checks to ensure all quality standards are met. ​· Set-up and run machines -laminators, sheeters, stackers, and turnbars. · Maintains a clean and organized work area. · Operate machines safely and minimize safety risk. ​· Must be able to lift 60 lbs., stand for 8 – 10 hours. · Measurement skills (use of rulers). · Determine the final product requirements based on job specifications, including appearance and performance. · Verify accuracy of materials used to complete all jobs to specifications. · Examine product for defects such as, leaks, spots, streaks, scratches, wrinkles, voids – as compared to target quality. · Properly complete all paperwork, maintain proper separation of product per job and or lot number at all times, consult with quality assurance on product appearance and performance, maintain cleanliness and organization of facility, maintain a professional and respectful work environment.